Why do rattlesnakes rattle and hummingbirds hum? How do flowers market themselves to pollinators? Why do tarantulas cross the road? Nature Notes investigates questions like these about the natural world of the Chihuahuan Desert region and the Llano Estacado every week on KRTS Marfa Public Radio and KXWT West Texas Public Radio. 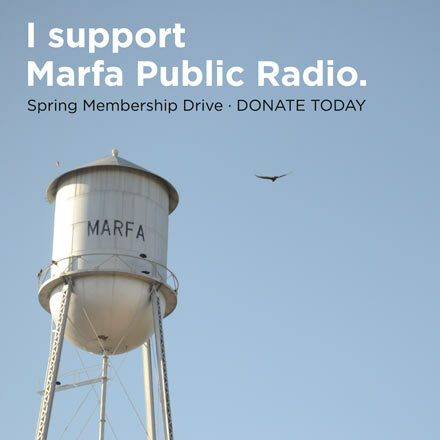 Through interviews with scientists and field recordings, this Marfa Public Radio original series reveals the secrets of desert life. Join host Dallas Baxter on Tuesdays and Thursdays at 7:45 am during Morning Edition and 4:45 pm during All Things Considered. New episodes premier on Thursdays and replay on Tuesdays. Episodes are written by Andrew Stuart and edited by Marfa Public Radio and the Sibley Nature Center in Midland, Texas. Listen to past episodes, browse our complete episode list, or contact us with your questions or suggestions. Nature Notes is sponsored by the Dixon Water Foundation and is produced in conjunction with the Sibley Nature Center. Special thanks to the Meadows Foundation for their past support of the program.